In October we shipped the public Beta 2 release of Visual Studio 2010 and .NET 4. The feedback on the new features in VS 2010 and .NET 4 has been really great. I’ve been working on a blog series about some of them (lots more posts to go!) and have also had a chance to present them to a broad range of audiences – and it has been great hearing the excitement people have about them. This past week I’ve been traveling around Europe giving a bunch of presentations (approximately 5 hours in each country) – Norway on Tuesday, Sweden on Wednesday, Denmark on Thursday, and Belgium on Friday. I’ll then be presenting at the BizSpark Camp in France this coming Tuesday. Back in September I blogged about the new Microsoft AJAX CDN (Content Delivery Network) service that the ASP.NET team is now providing. The CDN provides edge caching support for AJAX libraries (including jQuery and ASP.NET AJAX). The service is available for free, does not require any registration, and can be used for both commercial and non-commercial purposes. It offers a great way to speed up your external facing web-sites. I’m off to Europe next week to do a bunch of technical presentations. I’m presenting for 5-6 hours in a bunch of different cities, and will be doing talks that cover: ASP.NET 4 and VS 2010, ASP.NET MVC 2, and Silverlight 4. This past week was a busy one – with lots of announcements and cool releases happening at this year’s PDC conference. All of the PDC keynotes and breakout sessions are now posted online for anyone to watch for free. You can find sessions to watch here. This is the tenth in a series of blog posts I’m doing on the upcoming VS 2010 and .NET 4 release. This is the ninth in a series of blog posts I’m doing on the upcoming VS 2010 and .NET 4 release. In today’s blog post I’m going to cover some of the new code searching and navigation features that are now built-into VS 2010. I’m happy to announce that today we shipped the Beta 2 release of Visual Studio 2010 and .NET 4.0. You can download it now. I’m excited to announce a new program – WebsiteSpark – that Microsoft is launching today. Below is a tip/trick I twittered via my Twitter account earlier today. A number of people seemed interested in – so I thought i'd blog it here too. Earlier today the ASP.NET team launched a new Microsoft Ajax CDN (Content Delivery Network) service that provides caching support for AJAX libraries (including jQuery and ASP.NET AJAX). The service is available for free, does not require any registration, and can be used for both commercial and non-commercial purposes. This is the seventh in a series of blog posts I’m doing on the upcoming VS 2010 and .NET 4 release. This is the sixth in a series of blog posts I’m doing on the upcoming VS 2010 and .NET 4 release. This is the fourth in a series of blog posts I’m doing on the upcoming VS 2010 and .NET 4 release. This is the third in a series of blog posts I’m doing on the upcoming VS 2010 and .NET 4 release. This is the second in a series of blog posts I’m doing on the upcoming VS 2010 and .NET 4 release. This is the first in a series of blog posts I’m doing on the upcoming VS 2010 and .NET 4 release. A few months ago I did a free online chat hosted by LIDNUG (Linked .NET Users Group) that was a lot of fun (and which people seemed to really like). The ASP.NET team just released the first public preview of ASP.NET MVC Version 2. You can download it here. I’m in the UK today and tomorrow (on my way back from a trip to India for two days earlier this week), and am giving two tech talks while in town. Here is the latest in my link-listing series. Also check out my ASP.NET Tips, Tricks and Tutorials page and Silverlight Tutorials page for links to popular articles I've done myself in the past. SEO (search engine optimization) is one of the important considerations that any Internet web-site needs to design with in mind. A non-trivial percentage of Internet traffic to sites is driven by search engines, and good SEO techniques can help increase site traffic even further. One of the cool new releases coming out this year is a small download manager - the Microsoft Web Platform Installer - that makes installing and configuring web server and web development stacks really easy. It is a free tool that you can download from the www.microsoft.com/web site (here is the direct link to the installer – choose the 2.0 version). 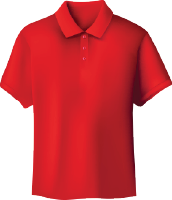 It works with Windows XP, Vista, Windows 7, Windows Server 2003 and Windows Server 2008. LIDNUG (Linked .NET Users Group) is hosting an online chat with me today (Wednesday) from 11:30am to 1pm PST (Pacific Standard Time). Anyone is free to join and the agenda topic will be open – so bring your questions! 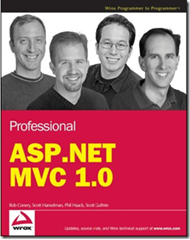 Last month I blogged about a free end-to-end ASP.NET MVC tutorial called “NerdDinner” that I wrote for the Professional ASP.NET MVC 1.0 book from Wrox Press. The book is now released and shipping on Amazon. In a model-view-controller framework the term "model" refers to the objects that represent the data of the application, as well as the corresponding domain logic that integrates validation and business rules with it. The model is in many ways the "heart" of an MVC-based application, and as we'll see later fundamentally drives the behavior of it. We'll be using a database to store all of the Dinner and RSVP data for our NerdDinner application. The steps below show creating the database using the free SQL Server Express edition. All of the code we'll write works with both SQL Server Express and the full SQL Server. Two weeks ago at MIX we released ASP.NET MVC 1.0. ASP.NET MVC is a free, fully supported, Microsoft product that enables developers to easily build web applications using a model-view-controller pattern. 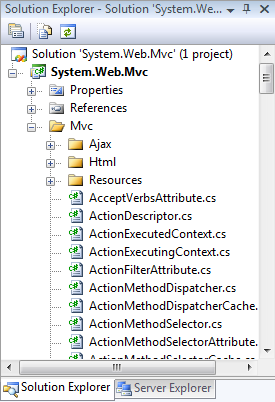 ASP.NET MVC provides a “closer to the metal” web programming option for ASP.NET. It enables full control over HTML markup and URL structure, and facilitates unit testing and a test driven development workflow. Two weeks ago we held our MIX conference in Las Vegas. MIX is my favorite conference of the year – since it nicely integrates development and design topics together in a single event, and is usually accompanied by some pretty cool product announcements. There has been a lot of excitement in the community about the new ASP.NET MVC framework that is about to ship (literally any day now – announcement coming soon). As with anything new, people are also asking for more tutorials/samples/documentation that cover how to get started and build applications with it. I am excited to announce that Novell today released version 1.0 of Moonlight, and is making it available for download at no cost with support for most major Linux distro’s (including openSUSE, SUSE Linux Enterprise, Fedora, Red Hat, and Ubuntu). For those unfamiliar with it, Moonlight is a joint effort between Novell and Microsoft of an open-source implementation of Silverlight for Linux. Today we shipped the ASP.NET MVC 1.0 Release Candidate (RC). Click here to download it (note: the link just went live so if it isn’t working wait a few minutes for the server you are hitting to refresh). It works with both Visual Studio 2008 and Visual Web Developer 2008 (which is free). Tomorrow’s presidential inauguration of Barack Obama will be a truly historic event.